“Doing science is mostly a lonely, solitary grind, of 99% tedium, and 1% or less of awesome Oprah “aha” moments. 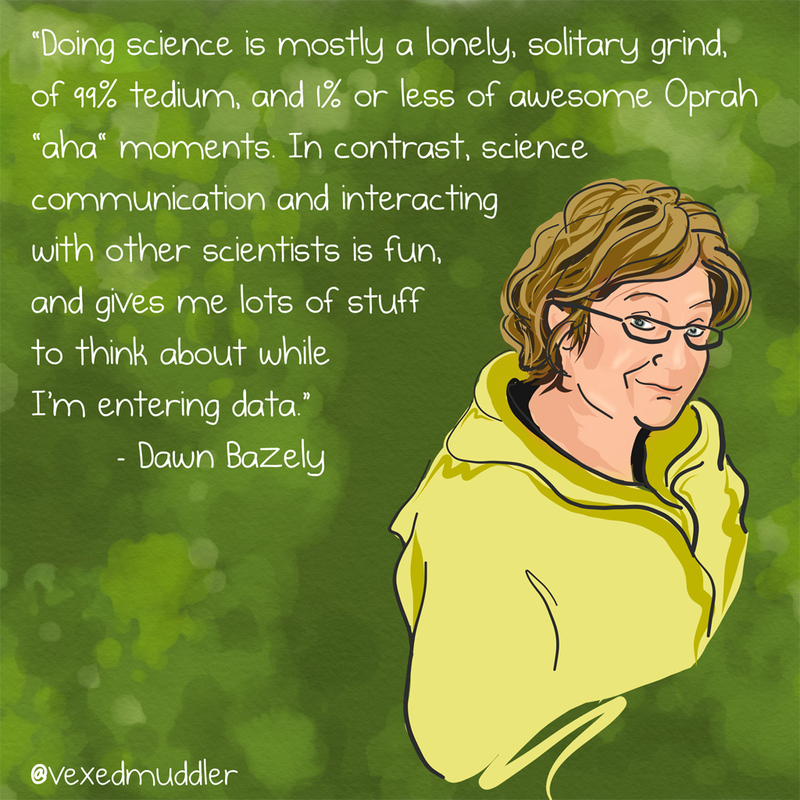 In contrast, science communication and interacting with other scientists is fun, and gives me lots of stuff to think about while I’m entering data.” – Dawn Bazely, professor of ecology at York University. Originally posted on September 29, 2016.